Hera on Saturday the 14th. Set out this morning the day after Friday the 13th with Hera for a solo grouse and woodcock hunt. The farm near Spencerville where my hunting buddies and I also deer hunt was the destination. 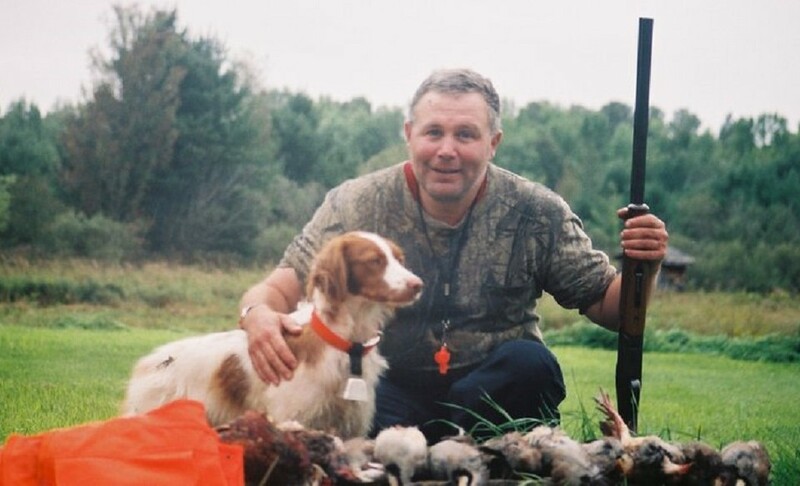 I noted in previous hunts this season the conditions in the uplands are very good for woodcock. That and we got into birds, both grouse and woodcock on prior hunts. The weather was better than forecast: 15 C, very light rain, more drizzle, and no wind. These are good, not great conditions for upland gunning. We arrived shortly after 8:00 am and set out. Go off to a rocky start when Hera bumped a woodcock early on. Somehow she failed to scent it and stumbled over it. It flushed wildly a short distance ahead. I was hopeful that Hera was back in form. She made a staunch point on a woodcock the weekend before for Mike, one of my hunting buddies, in the Marlborough Forest. Given what we found this morning, I think I should have taken her out for Friday the 13th. This entry was posted in Brittany (dog), Gun dogs, Hera, Hunting dogs, Pointing dogs, Ruffed grouse hunting, Upland bird hunting, Wildlife habitat, Woodcock hunting and tagged Brittany (dog), Brittany Hera, deer stand, grouse hunting, Hera, Marlborough Forest, Spencerville, woodcock hunting on October 14, 2017 by geoffreyandmika.